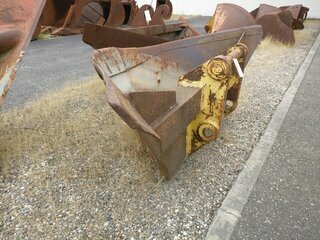 Is your Trapezoidal bucket tired ? The rust or the exterior elements defeat your Trapeze bucket ? A shock damaged your trapeze bucket ? You need a Trapezoidal bucket of a certain inclination. No problem, we have what you need ! 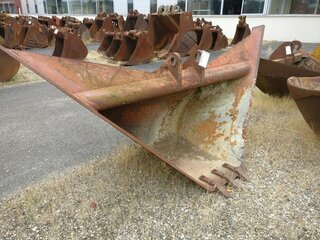 CODIMATRA, specialist in buying and selling used spare parts and public works equipment, has selected for you a complete offer of trapezoidal buckets compatible with most existing equipment. What is the aim of a trapezoidal bucket ? 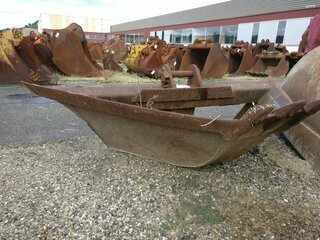 A Trapezoidal bucket is essential for any building or public works company needing to rehabilitate ditches. 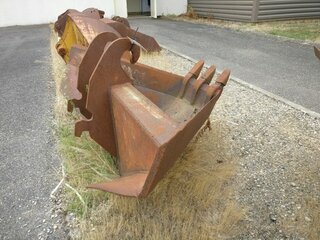 This trapezoidal bucket makes it possible to work with an identical tilt on the whole of the ditch. Its unique shape allows a perfect finishing of the banks of canals. At CODIMATRA you will find many models with different inclinations and tonnages. 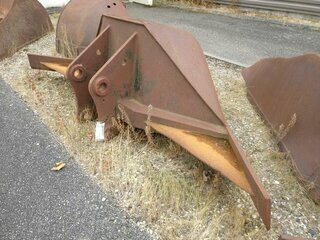 The Trapezoidal bucket are made from high strength steel which makes them very robust. The bottom and sidewalls can be reinforced to support different types of soil. 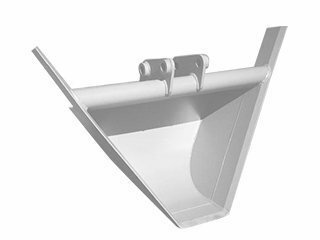 Our dedicated list of Trapezoidal bucket is updated daily so that each customer can find the product that perfectly matches their machine. To help you choose the model of trapezoidal buckets you need, call on the expertise and professionalism of the CODIMATRA’s teams. They are at your disposal to answer all your questions or for any additional information.